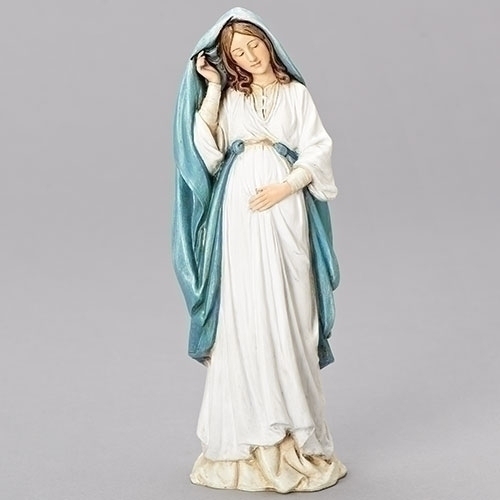 8.75" Pregnant Mary Figurine from the Joseph Studio Collection. Resin/Stone Mix. Boxed.